Crumbling walls and battered staircases whispered to us, and we answered the call. New title! Umbria Outside My Window. Stories and photographs from my window and beyond. The old title, The Field Stones of Umbria, didn’t truly describe what this book is about, and a number of people thought it was about excavations in Italy! Once they read the book, they discovered that the intimate stories and photographs reveal surprising, funny, and profound experiences of daily living in Italy. Italy was a dream, which came true. One day, we chanced upon a ruined stone farmhouse. The crumbling walls and battered staircases whispered to us, and we answered the call. We bought it, restored it, and decided to move here. Easier said than done, believe me. There were so many nutty, beautiful, sad, happy, thoughtful stories to tell that I decided to write a book about it. But the book is so much more than our story of reconstructing the farmhouse. It’s about the culture, the land, individual experiences with people I’ve met, the seasons, our cats, and ultimately the lure of Italy. Above all, it’s about moments in life that can change you forever. And then there’s menopause. Even in paradise, “stuff” happens. And boy did it happen big time. It was so much more powerful than I thought it would be, and it threatened to blow up my entire world during the worst times. Before I killed my husband, or vice-versa, I had to do something humorous. So, I wrote another book. How NOT to Kill the Woman You Love: Your Guide to Surviving Her Menopause. I hope it brings some smiles, maybe some laughs out loud, and a little sanity break for the women and their families who are going through this madness. The Field Stones of Umbria is an absolutely delightful read, taking the reader with you on your journey. Seeing another culture from the inside and hunters on your private property? Certainly odd for this east Texas hick. 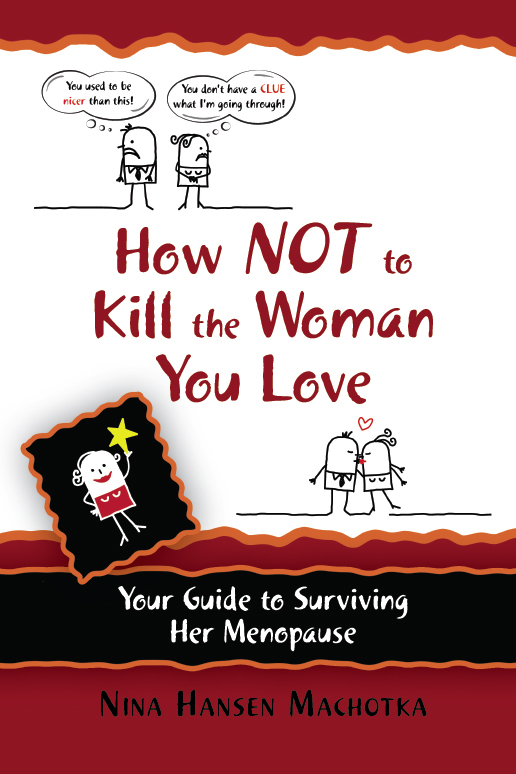 May I ask why you don’t have ‘How NOT to Kill the Woman You Love: Your Guide to Surviving Her Menopause’ in kindle format? Hmmmmm, it’s supposed to be in Kindle format! I’ll check on that with my publisher. Thanks for noticing that goof! Back with you soon, I’m swamped with work! Which is a good thing. Look forward to corresponding! I just checked on amazon, and my menopause book is there as a Kindle edition. Don’t know why you couldn’t see it… Let me know if you can’t and I’ll check it again. Thanks for the heads up, but it looks like it’s there ! 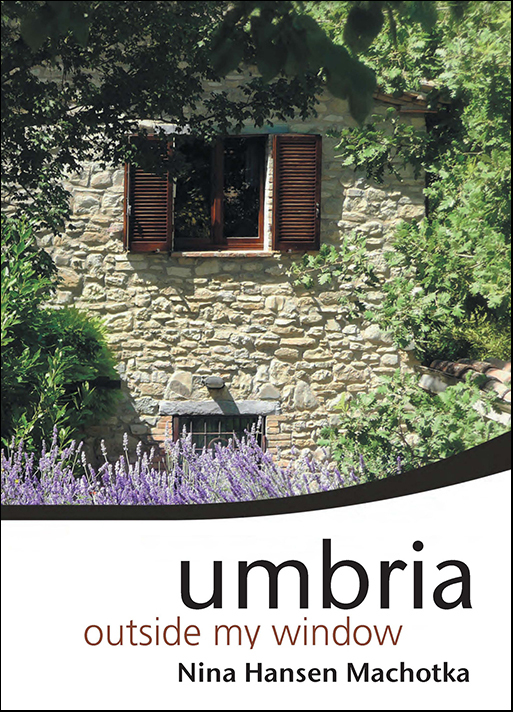 Thank you for the comment on my Umbria book! It was a lot of fun to write. Thank you, Jennifer! That was a lovely surprise! Hello Nina. I just finished your book, The Field Stones of Umbria. I was so enchanted with your writing and your story. My story is similar and different, like all stories. I live in Piazza San Francesco in Umbertide. I write about my experience in AmericansinUmbria, but this note is really to thank you for your writing, your attention to your surroundings and to your personal and universal observations about life in Umbria. We also live here year round, and I found your chapter about winter very consoling. If you are ever near me, please drop me a line and we could go and take the coffee! Hello Susan! Well, thank you for your lovely comment and for reading my book! I’m so glad my little stories touched you. This is the first winter in 14 years that we haven’t had snow, so it doesn’t feel quite as isolated. But I really miss the snow and its quiet beauty. I’ve looked at your blog–very lovely! Unfortunately, I can’t follow it because I don’t have a Google account…and never will. But I’ll put in my blog posts checkin list and check in every so often. I’ll email you.